Most Pufferfish look like large tadpoles, with bulging eyes and elongated snouts. They eat a variety and plants and animals but mainly feed on the algae that grow on the rocks and coral and also the invertebrates that inhabit these areas. 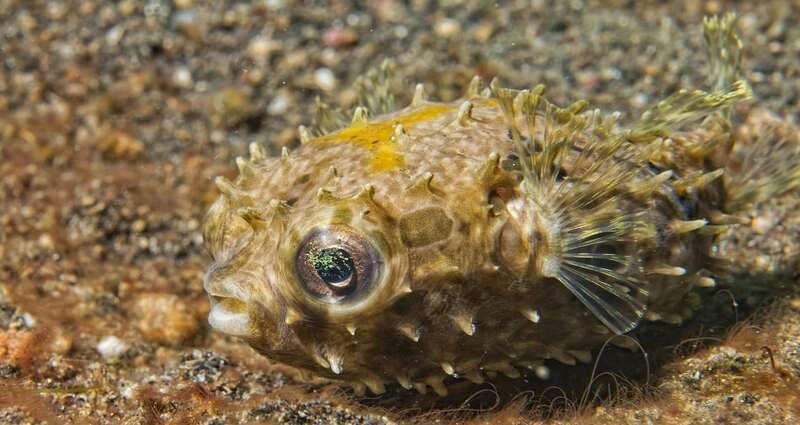 Large species of puffer fish will also eat shellfish.